Aliens are eusocial life-forms with a caste system ruled over by a queen. Their life cycle comprises several distinct stages: they begin their lives as an egg, which hatches a parasitoid larval form known as a facehugger, which then attaches itself to a living host by, as its name suggests, latching onto its face. In the Alien 3 novelization, Ripley commented that this parasitoid would probably be able to use any host larger than a cat, and smaller than an Asian Elephant. David Fincher neglected to inform me that Woodruff and Gillis were also contracted to take care of the redesign of the Alien—I found out much later... I thought I had the job and that Woodruff and Gillis would work from my plans. On their side, they were convinced that it was their job and accepted my 'suggestions' with pleasure. They believed that all my effort was based on a huge love for the matter, because I worked hard even after my contract was over. 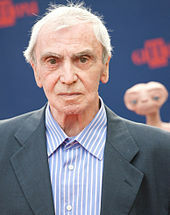 ^ "List of Aliens action figures". Retrieved May 29, 2013. ^ "The Official Website". 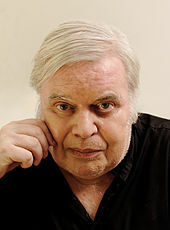 HR Giger. Archived from the original on February 28, 2009. Retrieved March 2, 2009. Nathan. "PlanetAVP.com". Alien universe. Archived from the original on February 8, 2006. Retrieved February 15, 2006. Unknown author (2002). "Alien Collectors Homeworld". 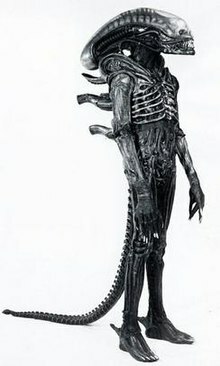 Xenomorph.org. Archived from the original on February 6, 2006. Retrieved February 18, 2006. Unknown author. "Predalien". Predalien information. Archived from the original on February 3, 2006. Retrieved February 18, 2006.